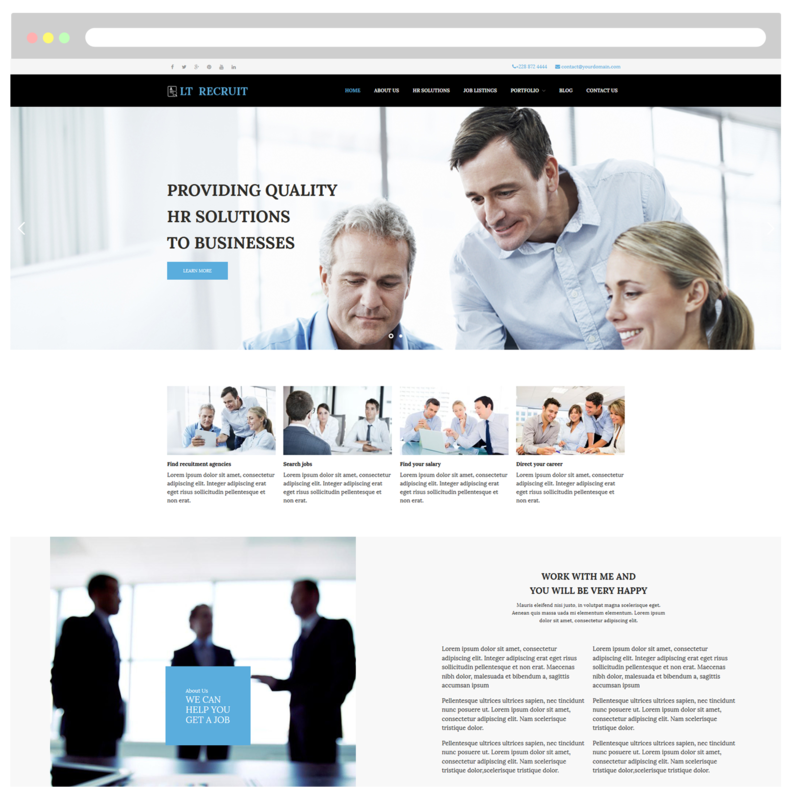 Describe company requirements in a great way and help job seekers find the best suitable position with One Page HR WordPress theme! LT Recruit Onepage is a free single page version of LT Recruit WordPress Theme (multi-page).This is the great theme used for Human Resources or Business team that provides high-quality design and makes your website as professional as ever. The theme is designed very elegantly with a modern look, stylish and fancy colors that completely well-suited for your business. 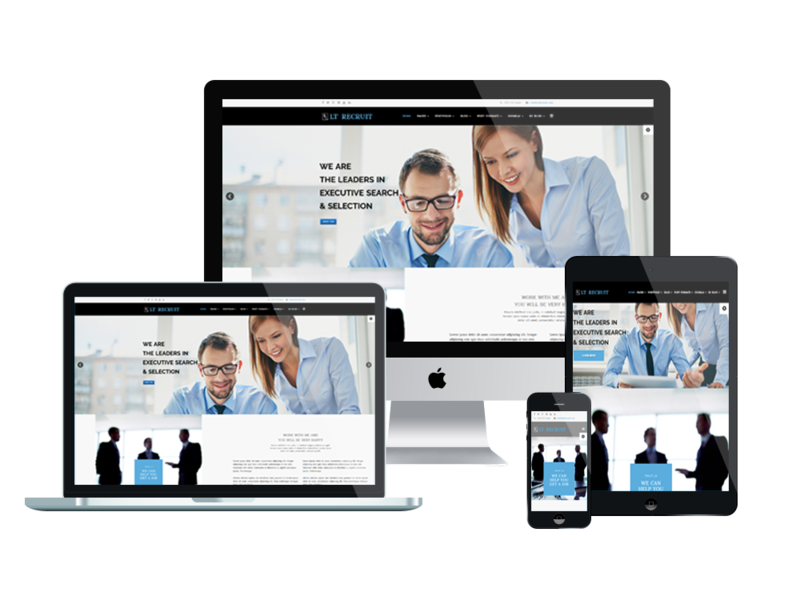 Just come and download this professional theme, you can create a professional presence immediately for your website. LT Recruit Onepage makes your sites display on all mobile devices with 100% responsive layout, clean and stylish. 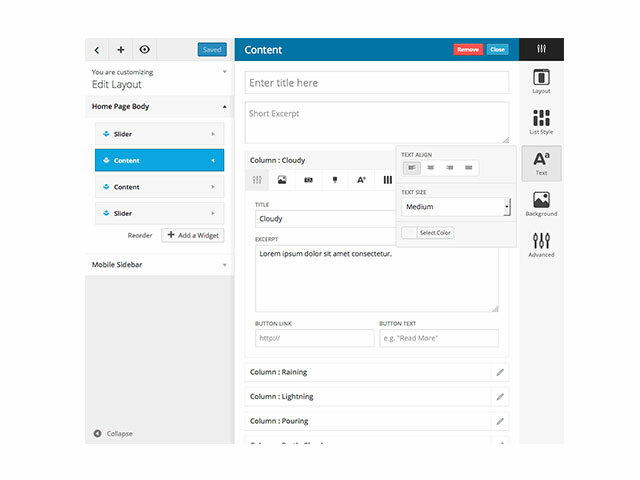 Besides, Bootstrap CSS & Hybrid framework, strong shortcode and drag-drop layout content…are also used to help you develop the website fast and conveniently. Moreover, it comes with unlimited color and a color picker in the admin panel. Choosing this user-friendly business team theme, you can express your own ability and help employers find the human resources!